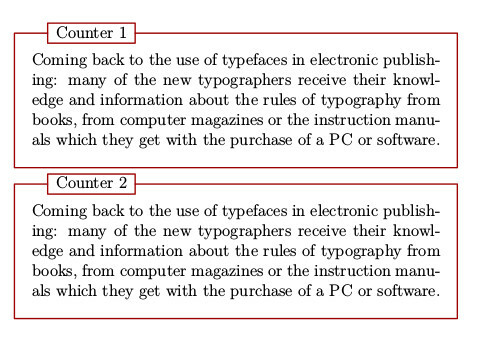 How do you make an enumeration where the enumeration counter appears within a frame decorated with Metafun? 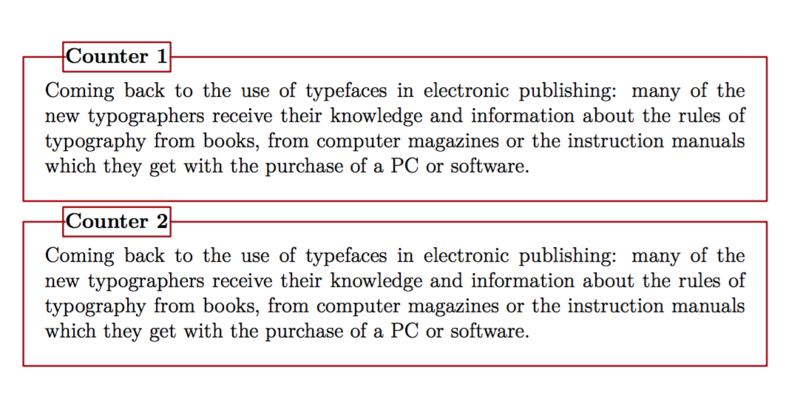 Except that "Zapf (1)" would be a counter rather a manual label. which they get with the purchase of a PC or software. I was able to make enough progress to add an answer to this problem, but I'm still unsure if it's the right way to go. Use \wrappedcurrentconstruction instead of MPstring/MPtext. With \wrappedcurrentconstruction, the references also work correctly. Effectively, the answer relies on referencing the counter within the frame using \getnumber and omitting the default enumeration label. Edit: Replaced alternative=inleft with alternative=empty as per comment. Not the answer you're looking for? Browse other questions tagged context framed metafun or ask your own question.